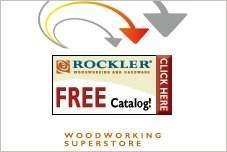 Check out the latest collection of free garden bench seats. You'll find plans for seats that can be built in one day. You'll also find benches that are nice enough to use inside your home. With so many choices, you may want to make more than one. 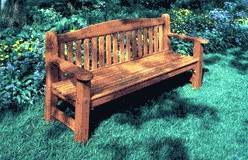 Don't forget that garden benches are great for extra seating in your family room, mud room or a child's activity room. 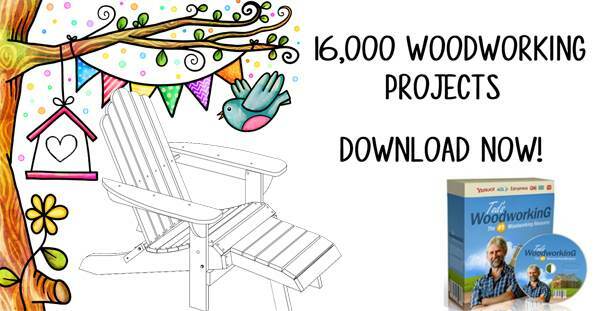 To make this lovely bench you will need a jigsaw, table saw and a router. The choice of wood to be used is up to you. This bench has a deep seating area for maximum comfort. Plus it can be placed inside or outside the house. 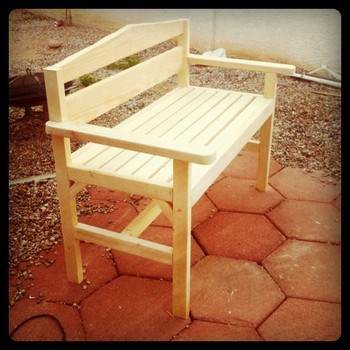 Everything is straightforward and easy when using this plan to build a relaxing garden bench with backrest. 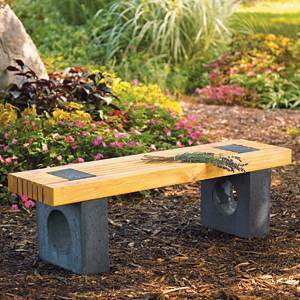 Create a contemporary garden bench that will fit in any garden. 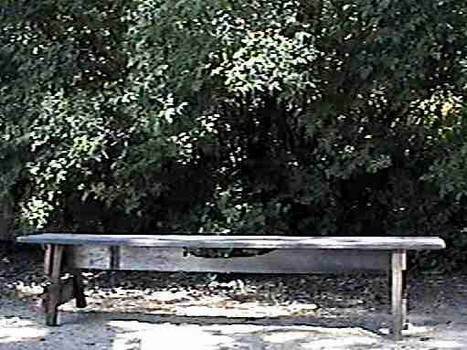 Featuring a minimalist style, this bench is easy to make even for novice woodworkers. 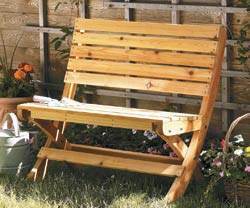 Build a folding wooden bench that can be easily moved from place to place and looks good too. 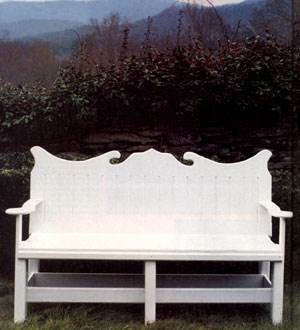 This English bench looks beautiful in a garden, front lawn or anywhere you want a place to sit outdoors and relax. 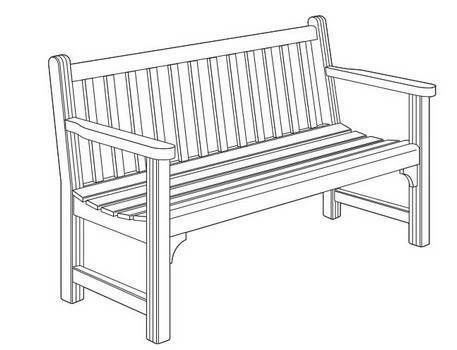 Plans for a good sized garden bench built using teak wood which ages beautifully as the years go by. A project for a bench with character; made exclusively with wood scraps.